A non-profit organization, owned either by private or government sectors, which contributes to the growth of arts is known as arts council. An arts council accomplishes its goals via different methods such as by funding small-scale artists, felicitating prizes as well as organizing various art events. Traditionally, an arts council works in close contact with the government. Not only does this help them to receive the numerous Government grants, but they also have the added benefit of not running into any hindrances in their day-to-day affairs. Similar to other organizations, art councils, too, require a budget plan as a part of their management functions. 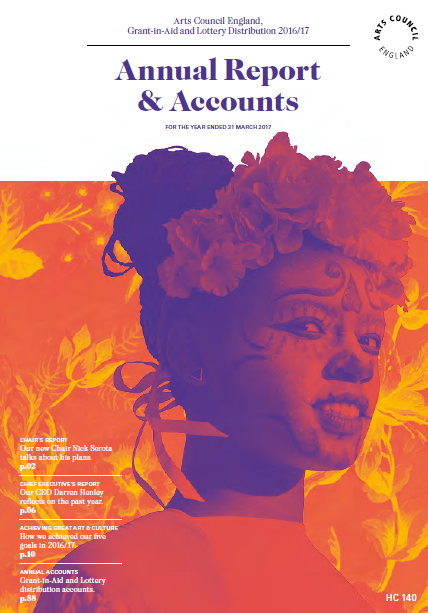 In a gist, the budget prepared by the arts council budget keeps a track of all the finances and highlights important details such as the cost of the project and means of payment to be employed. A well-defined budget reflects the scope of the project and supports the proposals of the art council. Therefore, it should provide a clear picture of all the revenues and expenses to support your proposals. The budget statement prepared for an arts council should have equating sections. This simply means that both the sections of the budget statement i.e. the revenues and the expenditures column should have equal values. It is these values which actually convey the actual story of how well you have utilized your funds. And it is this utilization of funds which actually show how successful you have been in accomplishing the goals and missions of your council. Mentioned below is one of the most basic ways of mapping out a budget template for an arts council. It employs all the essential characteristics should be present in a traditional arts council budget. 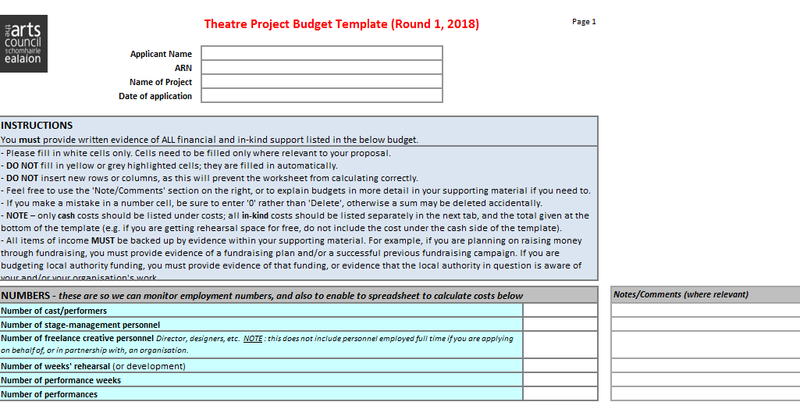 Such a budget template mainly prioritizes on displaying how and whether the funding is received in form of cash or other in-kind contributions. It is also advised that the councils include copies of any actual quotes on these budget items along with the actual application package. Also, if these quotes include items which are included as estimates, the councils should also include a clause so that the people reading the budget statement are made aware of this fact. The foundation of imagination and creativity is usually built by the independent, individual artists. It is by working on further projects that these artists advance through the various stages of their art form. And with the help of this, the projects take form into a development activity which the musicians use to breathe new life into the ecosystem. To help such promising individual artists, art councils often support individual artists and help to shine a spotlight on their careers. These Artist Project Grants are created specifically for this purpose. They are the intended investment in the projects of individual artists to receive the greatest returns. 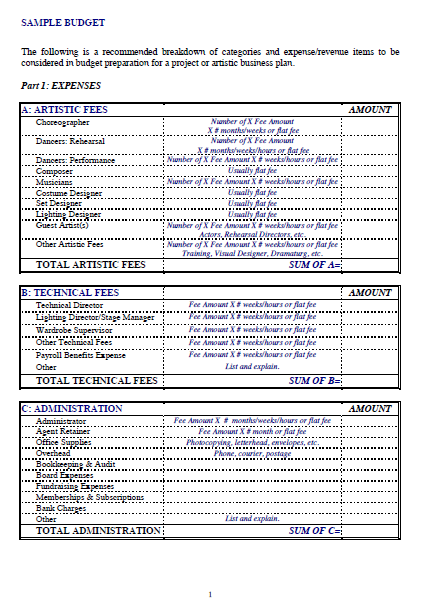 Included below is the example of an art budget, developed for the purpose of an Individual Artist Support program. 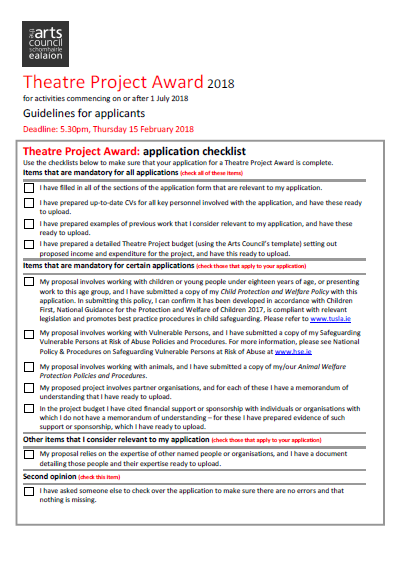 A lot of art councils actively support and encourage theatre projects. These projects help artists to explore and develop their creativity, production and presentation skills. Theatre projects allow professional artists to pursue a one-time project which can help in the development of the theatre community. Apart from this, a lot of art councils, such as the Toronto Arts Council, also engage in long-term projects with their professional artists. These projects help the artists to present a new variety of work over an extended period of time. Idea Development – These projects involve the contribution of fees during the period of idea development and production. Residence Idea Development – These projects involve the same things as that of Idea Development projects. However, the funds, in this case, are contributed to the artist for a residence. A residence idea development involves idea development for playwriting apart from the other forms of creation. Workshops for Idea Development – These projects involve a contribution to workshops which invest in idea development. Productions – These projects involve contributions for single production as well as shared-production models. Festival Initiatives – Such initiatives involve a contribution to the cost of festivals in which artists or art professionals take part in. Usually, such festivals initiatives are conducted for the benefit of the art theatre community. As aforementioned, every arts council is unique in their own way. This clause applies in their budget creation methods as well. In spite of this, there are a few sections which are mandatorily present in each and every arts council. The prime example of this is the revenues and expenditures column. Tens of factors go ahead in affecting these two sections. Due to this, every arts council should invest immensely in researching the budget statement. Researching the costs will help you plan your activities as well help in knowing more about factors such as artist contacts, standards, and the fees. Similar to the expenses, there are multiple sources of revenues as well. And it should be so. No arts council should ever depend only on a single source of income. One of the most prominent ways which an art council earns their revenue are the fundraising events hosted by them. However, it all depends on how much prioritized these fundraising events are by the council. All the revenues which flow into the council’s coffers are performed under the complete supervision of the board of directors. Due to this, they are completely accountable for all the funding sources. 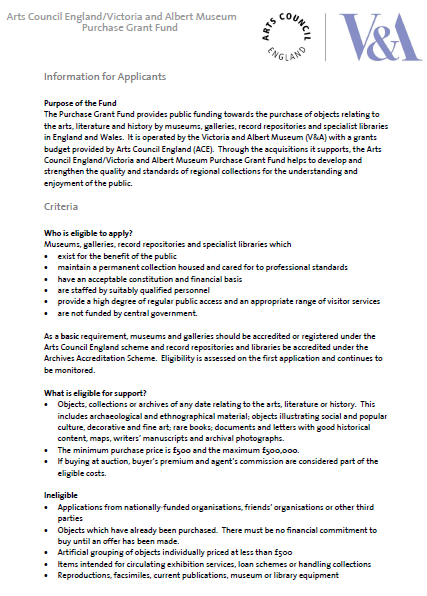 People who require festival funding from a particular arts council are normally required to provide a budget statement. The budget is an important part of the application form for a festival funding. Due to this, it is crucial that the artist correctly fills out the income and expenditure columns as well as include any supporting documentation. 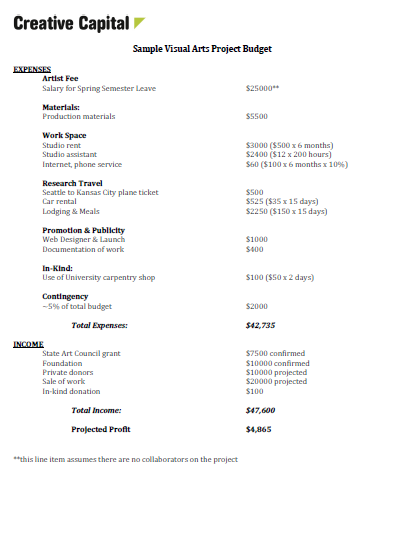 An example of a budget template for an art council festival funding is given below. Art communities are also diversified on the basis of the type of goals that they set. These goals are formulated to be in accordance with the of the characteristics of the domain that they serve.